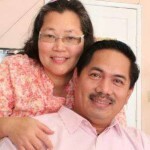 Pastor Bermie (and his wife Carmelita) have been serving as pastor for the past 35 years. After seminary, they served twelve years in the Philippines. 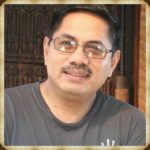 They pastored churches in Central Luzon and Mindanao, Philippines (1984-1996). They also served as directors in Philippine Summer Education Program camps. In October 1996, he and his family were transferred to the USA to pastor. He serves as pastor for the Grace Life congregation of Grace Communion International (GCI) in Glendora, CA. In addition, he served as a District Pastoral Leader in Southern California a few years ago. He is also a member of the American Association of Christian Counselors. Bermie Dizon was the host and director of the TV and online program 316 Emmaus Rd (www.316er.com). He also wrote a weekly column (Who Cares?) for Tribune USA. Carmelita (or Millet) works as nurse and specializes on wound treatment. Bermie and Millet have four children – three boys and one girl. The oldest, Ben, married to Cassie, finished his B.S. in Psycho-Biology at UCLA and is now working for a company in the east coast. Carmel, married to Matt Benavides, works a full time Registered Nurse in Colorado. She has two beautiful children, Amelia Paige and Urijah Eugene. Abel, married to Gelli, has a PhD Civil and Environmental Engineering degree at CalTech. He works as a structural engineer in Orange County. Abel and Gelli have Eli Gavin as their firstborn. David is an Aerospace Engineer for a company in Palmdale, CA. David plays the drums and piano for the church. He serves every Sunday morning by playing the piano at a convalescent home in Pasadena. Bermie finished his Masters of Arts degree (M.A. in Christian Education) at the Haggard School of Theology (Azusa Pacific University) and earned his B.A. Theology degree in Pasadena, CA. Weekly, he serves the homeless community after his biking activity every Tuesday. 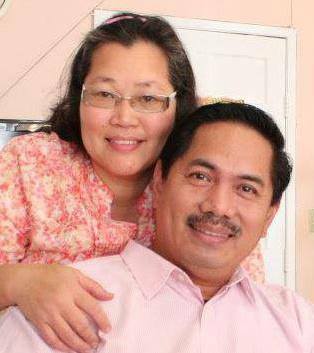 His wife got her Bachelor of Science degree in Chemistry in the Philippines, and her theology degree with her husband in Pasadena. She presently works as full time wound treatment Nurse with a Home Health company. My life’s calling is to constantly trust and exalt our Great God Almighty; Father Son and Holy Spirit. And by the grace and power of our Lord Jesus Christ, to fully become all that God has created and saved me for (Phil. 3:12-14). I will do everything I can to maximize the gifts I have been given in an effort to give God all the glory and make Him known especially to those who are lost. I will contribute to the continual growth and advancement of the body of Christ (the church) on earth by being involved in the formation and equipping of spiritual leaders who are capable of multiplying my efforts. If God wills it, I will seek to plant churches by growing leaders and pastors. I will be in constant contact with our Lord Almighty through the Holy Spirit to receive wisdom, courage and strength. I will devote quality time to my wife, Carmelita, in an effort to love her, share my life with her, and be a friend and encourager for her as she uses her unique gifts, abilities and interests in serving God. I will devote my time, treasure, talent and emotions to my four children, Ben (and wife Cassie), Carmel (and husband Matt), Abel (and wife Gelli), and David so that they may all be nourished spiritually and will come to love Jesus Christ as their Lord and Savior. I will treat every person I relate with exactly as I would like to be treated and do all in my power, with God’s help, to make them feel valued and loved as individuals of genuine worth. I will share God’s love to all by sharing with them the greatest gift that God is offering them (salvation and relationship through Christ). I will love my family by taking care of this physical body God gave me. I will make sure I get a good diet, exercise, proper sleep, and a positive attitude so that I am physically fit for my age and will be able to live out the calling God gave me :-). I will seek to improve myself by nurturing my mind and my soul with personal spiritual disciplines (prayer, meditation, worship, service, fasting, etc.). I will continue my personal growth through the study of books and scriptures that exalt and glorify God and His Word, in order that I can be more effective in helping others grow. I will look up to Jesus as my model teacher and pastor. I desire to live his life (Galatians 2:20) as I do the work (as a husband, daddy, pastor, brother and friend) that God has given me.